What do people here reckon of #EarthStrike? It's basically impossible for us to do it in the UK, as it would be illegal under our ridiculous union legislation. Obviously this sounds very negative of me (and it is), but I cannot see us in the UK overcoming the organisational and legal hurdles to an #EarthStrike. I understand other countries have similar laws that effectively prevent this kind of strike. You'd need a truly colossal number of people willing to take part, in order to mitigate the risk of getting a) fired and b) prosecuted for taking part. 3. A corollary of 2, above, is that you'll need to understand the processes of your union. 4. Co-ordinate with other activists, in other unions, in other countries. Doing this online makes things a bit easier, but it doesn't solve all your problems. It makes it easier to disseminate model motions, and encourage a range of activists who support your aims to use their votes effectively, but organising people online doesn't mean that you'll convince the people in the room in front of you. 5. Finally, you actually need to succeed at all of the above, collectively, at a global scale, including in some countries where such action is illegal. None of this is actually impossible, but it would require a colossal amount of both time and money. #EarthStrike's organisers have given themselves less than a year to do all this! Depending on the timings of things like annual conferences, it may be impossible to get trade unions to commit to this course of action (see point 3, above). 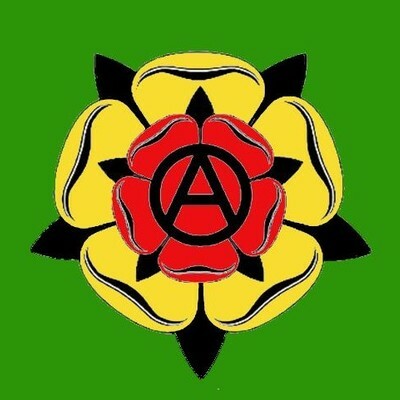 In conclusion, what's cool about #ExtinctionRebellion is that they are veteran activists and organisers who know how to overcome the hurdles to what they're doing. #EarthStrike, I'm afraid, do not have a clue. They're on a hiding to nothing. Now, if I'm wrong about all this, I'll see you on the barricades, comrades! ✊ But if you think I'm wrong, you're going to need to tell me how you're going to achieve all of 1-5 above, by September next year. @frankpodmore Hey! I&apos;ve got your list of steps covered (aside from maybe 5 because that&apos;s a bit more long term.) and I know others do too, but that&apos;s the totally wrong way to go about it. 1) Yes, this strike is illegal for many, including myself. I am a public/ state employee in an area where union collective bargaining and employer contracts as a whole is illegal. 2) I am still very involved and one of the major organizers in my workplace for getting unionized. 3) I understand that our union can not and will not endorse a general strike of any kind without immediate and intense legal action and push back that could destroy it. The maximum they can do is a statement in solidarity, and even that&apos;s pushing it. 4) Your fourth step is actually great, and is crucial to our organizing. I am am grateful to the online community for introducing it to the strike so I can organize, in person local actions, which is where the true power comes from. Moral of this thread is that just because something isn&apos;t legal doesn&apos;t mean that it is not the right thing to do. In order to enact any kind of radical, lasting change we have to work outside of the methods appropriated by the state meant to obstruct and detract from power of the collective people. Unions are fantastic and always welcome, but can be limited when it comes to massive organizing like #earthstrike. We shouldn&apos;t put all of our faith into unions organizing for us. @raven0144 Hey, thanks for replying - I've raised these issues on several platforms and with Earth Strike directly, and you're the first person who's engaged at all! @raven0144 ... they don't list existing organisations who might help (like unions! The only legal way to strike at all in most countries!) or explain how to engage with them. @frankpodmore How involved are you actually? Most of the information distribution, outreach and organizing isn&apos;t happening on the website obviously. There are many very active outreach teams working on contacting other organisations and gartering support and everything is generally broken down into local organizing where people discuss the best way to organize based on local conditions. The goals you mention are just the broad international goals. Actual. tangible demands are in place on the regional and national level. This is a horizontally based, autonomous movement, so most of the organizing comes from below, on the local levels where people decide what they want to see in their community and take action, using #earthstrike as a framework for their activism, so you&apos;re not going to see the full extent of it on a surface glance. @raven0144 The goals are impossible, so it doesn't matter what level they function at. How will your horizontal, autonomous movement pivot to a position where it is capable of binding governments to carbon targets? We will likely never actually be working with governments to make binding agreements. We&apos;re not that kind of organization, and if we ever did, honestly, that&apos;s not the kind of organization I would want to be involved in. Our goals are to raise awareness and understanding of the issues, gain the popular support of working people, and use the power of our labour to put pressure on people who do have that role of creating government agreements. You don&apos;t see the local goals, at least not yet. So you have no way of determining how feasible they are. I&apos;m am the leading person for writing demands in my smaller, local area, and we have both long and short term demands from transitioning our city to renewable energy by 2035, which is certainly impossible working alone to implementing small top covers on streetlights to decrease light pollution which is easily feasible and we could probably do it ourselves if need be. @raven0144 So, you're going on a global strike in order to demand that people put covers on streetlights in your local area? It's not clear why a strike of any kind is needed to achieve that. Nor, again, is it in line with the goals described by Earth Strike. You&apos;re not understanding the idea and organization of the strike at all, and I don&apos;t see that you&apos;re trying to either, so I&apos;m going to stop replying unless you have something interesting to add. The global strike is comprised of movements like my city trying to improve the environment of where we live while adopting the overall goals of my nation and international goals. Each area can make their own specific goals and strike and rally for that while under the #earthstrike banner. 1. 'Global strike' means nothing like what might be generally understood by the phrase 'global strike'. 2. The movement contains disparate units working towards their own goals, including goals which in no way contribute to the stated demands of the organisation. 3. The stated goals of the organisation are literally impossible. 4. You intend to hold protests while keeping everything about them a secret. Happy to leave it here if you are. @raven0144 Hey, did you see Great Thunberg's call for a near-immediate climate strike tomorrow? Yeah, I have. It&apos;s really exciting; she&apos;s doing incredible work and I look forward to seeing where it goes.